And those are just a few of the things that will make code non realtime. As you can tell, CFS focuses on more general systems, while RT-PREEMPT focuses on letting specific tasks meet strict timing requirements. This is important, for example, when we have a thread that runs a controller for a robot, which we need to run at exactly 200Hz. 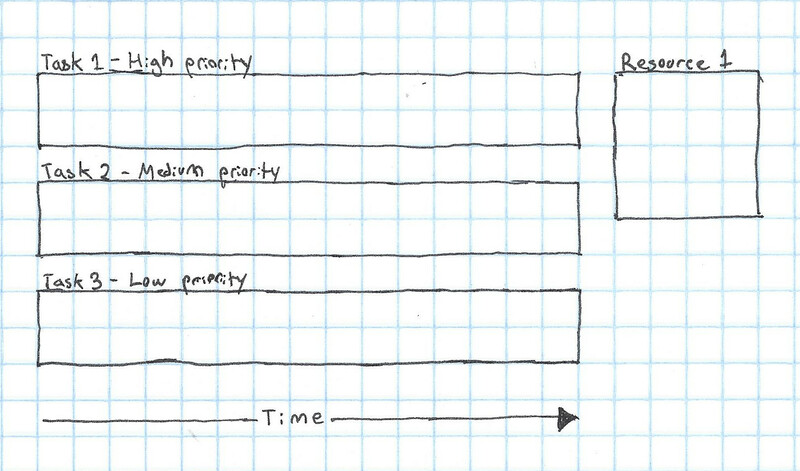 Now, let's imagine how a system that uses this scheduler could go wrong. Next, Task 2, which is medium priority enters a section of the code that needs to be realtime (called a critical section). This pre-empts Task 1, but Task 1 still has a lock on the resource. 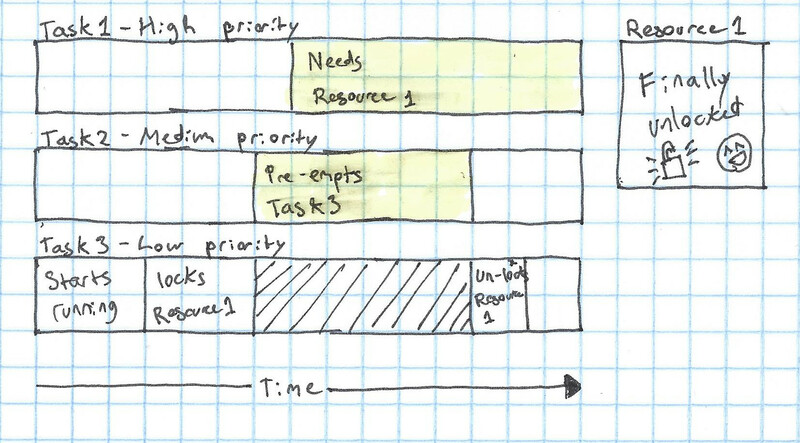 So that's how a high priority task can be blocked by a lower priority task that doesn't need a resource. This is one of the main problems with the scheduler that I've described (called "Fixed priority pre-emptive scheduling"). 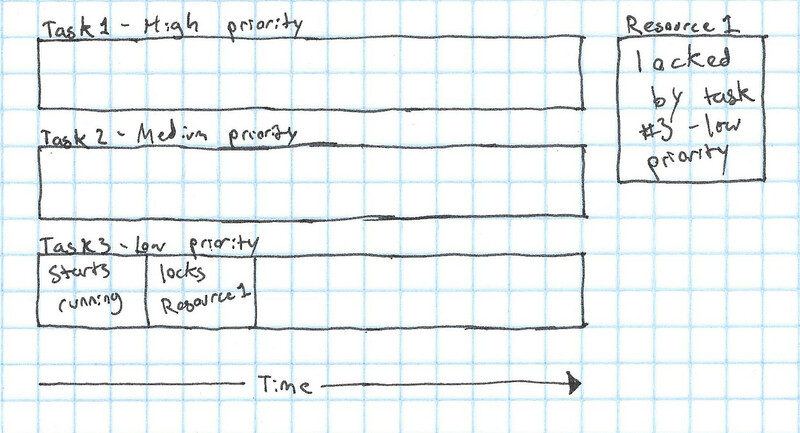 As it turns out, it's fairly simple - in order to release the lock, our low priority task has to have at least the same priority as the medium priority task that's pre-empting it. 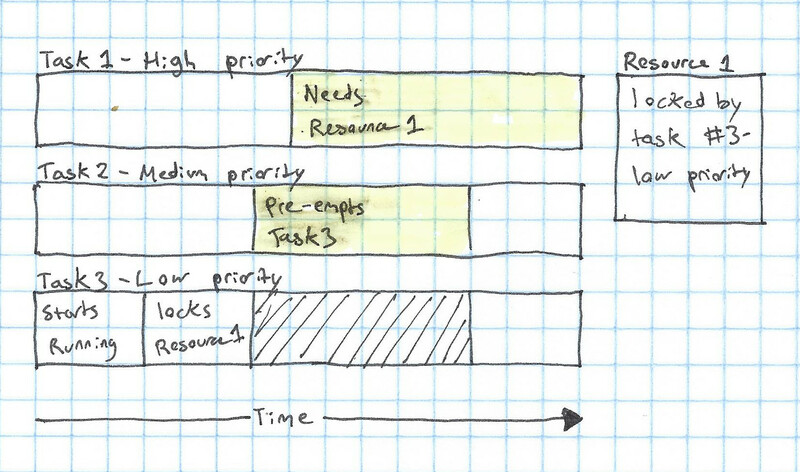 The way that the RT-PREEMPT Linux patch does this is by setting the priority of a task that has a lock on a resource to the priority of the highest-priority task that's waiting for that resource. In our example, that would mean that as soon as Task 1 wanted the resource, Task 3 would be set to high priority, and pre-empt Task 2, allowing it to finish with the resource and allow Task 1 to run as soon as possible. This is a easy solution that will fix the priority inversion issue! 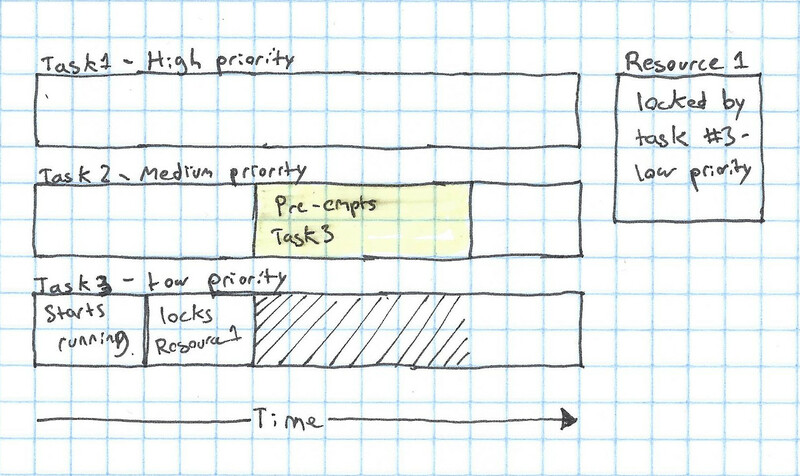 How does the RT-PREEMPT scheduler work (in more detail)? 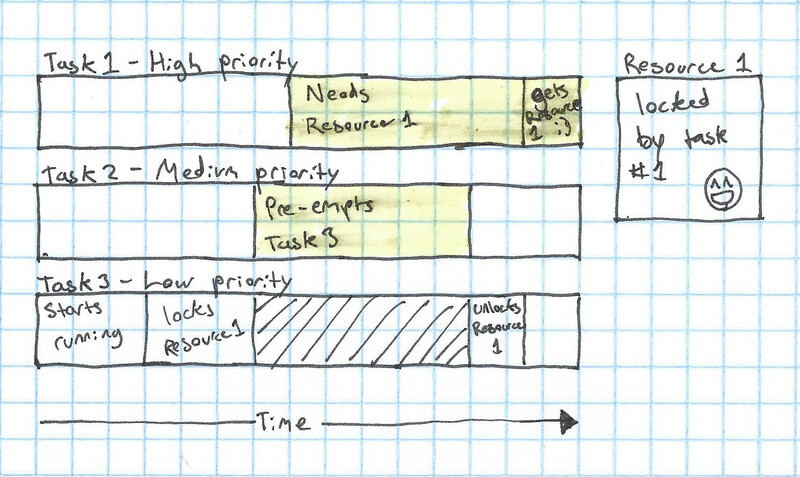 Are there other ways to fix priority inversion? All could be good topics for a future post.